Project planning should take a number of elements into consideration. The purpose or goal of the final collection should inform any decisions made during the planning phase i.e. are you digitizing materials for shorter term use (access) or longer term use (preservation)? Figure 1. 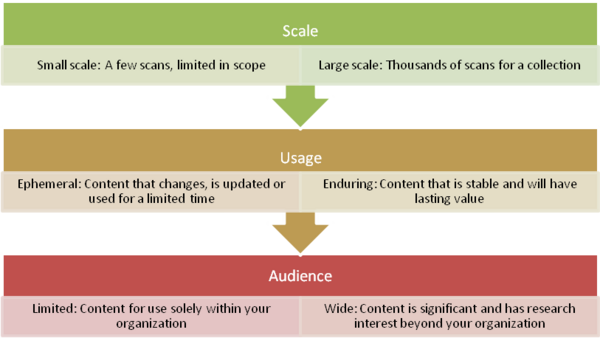 This chart provides three dimensions that inform strategic planning decisions: Scale; Usage; and Audience.